The August 2015 schedule is as follows (from Erika O’Dowd, founder of Cinema La Placita). Don’t miss the August 20 movie – “A Kiss Before Dying”, filmed in Tucson, starring Robert Wagner. August 13 To Kill a Mockingbird (1962) NR Starring Gregory Peck, Mary Badham and Robert Duvall. 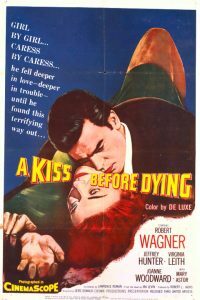 August 20 A Kiss Before Dying (1956) NR Starring Robert Wagner, Joanne Woodward and Virginia Leith. August 27 Best in Show (2000) PG-13 Starring Eugene Levy, Christopher Guest, Catherine O’Hara, Michael McKean. DIrected by Christopher Guest. The August 20 screening of “A Kiss Before Dying” is shown in conjunction with the Downtown Tucson Partnership and Do Happy Tucson as part of celebrating Tucson’s birthday this year! (it’s actually Do Happy Today – see comment below). This season, audience members on Facebook and at the movies each week will vote for the upcoming month’s movies. However, Facebook votes count only once. Beginning in May, moviegoers who attend the movies can cast $3 – one for each dollar of admission. Admission is $3 per person, which includes popcorn. The Cinema La Placita outdoor film series began with a grant from the City of Tucson in 2000 and has screened over 375 movies in downtown Tucson. Many changes have come and gone and come again to downtown since Cinema La Placita projected its first film in May 2000. Since April 2000, Cinema La Placita has been showing classic films, outdoors in the lovely plaza setting of La Placita Village (100 S. Church Ave.). All films begin at 7:30pm each Thursday evening, May through August. $3-per-person admission includes popcorn. All proceeds contribute directly to the programming of the series. Cinema La Placita, Inc. is a 501c3 non-profit organization. La Placita Village is located at the southwest corner of Broadway and Church Avenue in downtown Tucson. Ample parking is available in the La Placita Parking Garage located on Stone Avenue just south of Broadway. Chairs are provided, but guests are welcome to bring a lawn chair or a blanket. Restaurants of La Placita Village are available for dining and refreshments. Alcohol is not permitted in the plaza. 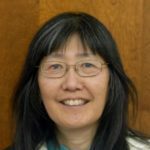 Next articleUpset about fetal tissue donation? Stop funding for birth control, obviously! Thanks for the August 20th Birthday shout out. I know Erika calls our effort Do Happy Tucson, and I saw the link, thankfully, did go to our correct name, Do Happy Today (that’s because we aren’t only in Tucson). Also, CakesforCauses is providing free cupcakes! Again, thanks for the sharing. Thanks for your comment and info Anita — added Do Happy Today link to the text above. We’ll look forward to the free cup cakes too.